Perhaps the most anticipated advance in spine surgery over the past 20 years was the arrival of the artificial disc. The first artificial disc in the United States — Charite — received formal approval by the Food and Drug Administration (FDA) for widespread use in the United States on October 26, 2004. While this technology was somewhat new in our country at that time, artificial discs had been in use in Europe for more than 15 years before that. The FDA tries to regulate the use of new technology and drugs to provide time to study if these innovations actually provide some benefit to patients, and to determine if any innovations are harmful to patients. It is important to remember that artificial disc technology is still evolving with new implants continually in development. Your spine surgeon is the best resource to discuss if it is appropriate for you, and what model of artificial disc is best suited for your case. For example, the models of artificial discs approved by the FDA for use in the United States are expected to grow as new models emerge on the scene and surgeons become trained in their use. 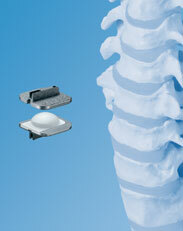 Each disc is designed for use either in the low back (lumbar area) or neck (cervical area). 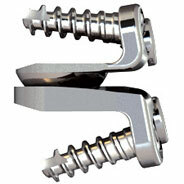 In addition to Charite, some common artificial discs that have been in use in the United States over the past few years include Prodisc® C for the neck area; Prodisc® L for the lumbar area; Prestige® for the neck area; BRYAN® cervical disc, PCM® cervical disc; Mobi-C® cervical disc (also called LDR); and SECURE®-C for cervical. When treating knee and hip replacement patients, orthopaedic surgeons try to postpone the implantation of an artificial joint until a patient is at least 50 years old so that they do not outlive their artificial joint, which typically lasts anywhere from 15 to 20 years. 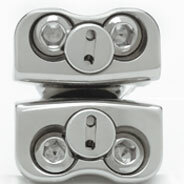 Revision surgery, which may be necessary to replace a worn-out artificial joint, can be complex. Dr. Valentino was one of the first spine surgeons in the Eastern Pennsylvania and South Jersey region to be trained in artificial disc replacement. 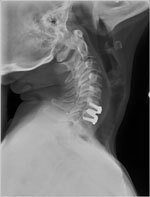 Currently, he limits his artificial disc replacement surgery for herniated discs in the neck area (cervical spine area). Selection of the specific artificial disc implant used for disc replacement is typically related to the best option for the patient. 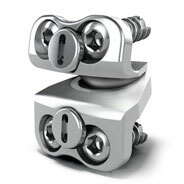 The disc implants that he typically uses are the FDA-approved Prodisc®C and Mobi®-C, which is also referred to as LDR. 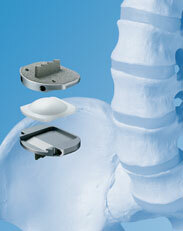 LDR is the first disc approved by the FDA for one or two levels in the neck area. We believe the strain on the artificial disc in the neck area is much less than the weight and stress placed on discs in the lumbar area. While the artificial disc technology currently mimics the rotational function of the normal human disc, the artificial designs currently available provide little up/down shock absorption. Secondly, if an artificial disc needs to be revised or replaced in the lumbar area, revision surgery is far more complex than in the neck. 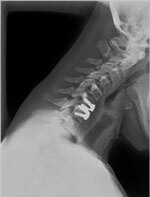 Because of this, and because implants related to lumbar artificial disc replacement continue to evolve and improve rapidly, we currently advise patients to limit disc replacement surgery to only the neck area. As implant technology continues to improve, Dr. Valentino and Liberty Spine Care will continually evaluate new artificial discs for the lumbar spine for possible use in the future.